SYKES was honored to receive two awards for Best Places to Work for our locations in Langhorne and Allentown, Pennsylvania. 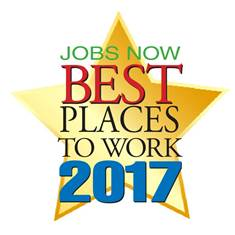 The “Jobs Now Best Places to Work” reader poll awards are sponsored by Monster.com, Bucks County Courier Times, Burlington County Times and The Intelligencer to recognize top employers in the Bucks County region. Employees nominated SYKES for training opportunities, benefits, work environment and scheduling.